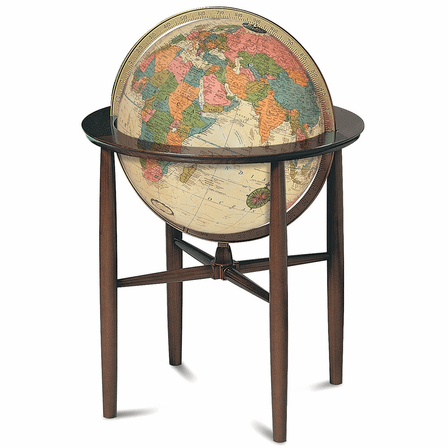 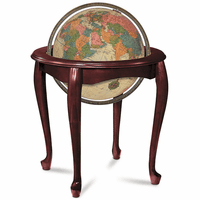 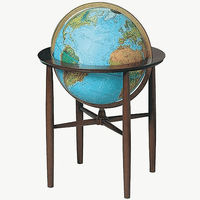 This beautiful 16' floor globe has an antique finish with countries delineated in soft multi-colors. It is surrounded by a full die-cast numbered meridian, and is set in a polished, solid hardwood, floor stand that surrounds horizontally and allows the globe inside to spin freely. 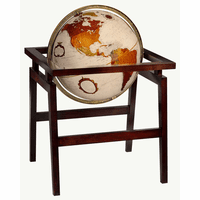 The total dimension, including floor stand, is 22' x 22' 31', creating an elegant display for home or office that will also offer hours of enjoyment for those who see it!